Cleanse your body inside out! Today's lifestyles fill our bodies with toxins, from car pollution and food additives to tobacco and alcohol. Even the water we drink can have toxins that accumulate in tissues. These detoxification treatments have been formulated to cleanse your body and revitalize you with surprising results. Now is the time to regain your energy and feel good about yourself! 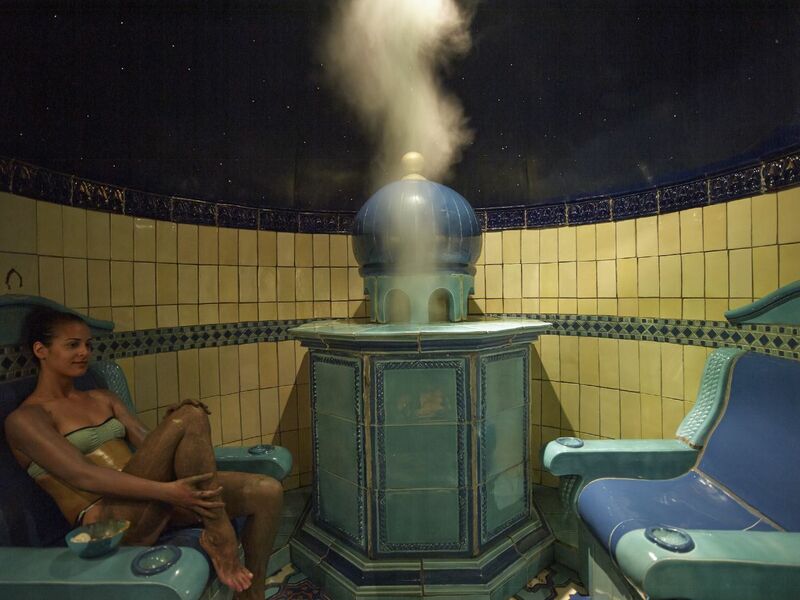 A traditional way of cleansing the body, using different kinds of mud and chalk from the island of Rugen, with pleasant herbal steam and warm rain from the ceiling vaulted with stars. Your skin will regain its elasticity and its sense of vitality. Benefit from the combination of eucalyptus steam and aromatic, detoxifying therapeutic herbs from the mountains of Evia around Thermae Sylla. This light and relaxing experience offers deep cleansing for the skin and helps you breath more easily. 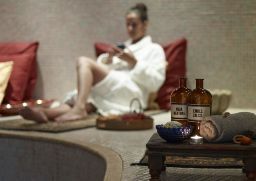 Fresh eucalyptus, straw from the Alps mixed with flowers, herbs and precious essential oils "cooperate" in this therapeutic private steam bath in combination with the rising heat, relaxes and relieves the tired back while the muscles are warmed and unblocked by a magical way. Receive all the benefits of the spring water without going into the pool. Step into the cave with steam from the natural spring water to inhale all the beneficial minerals. 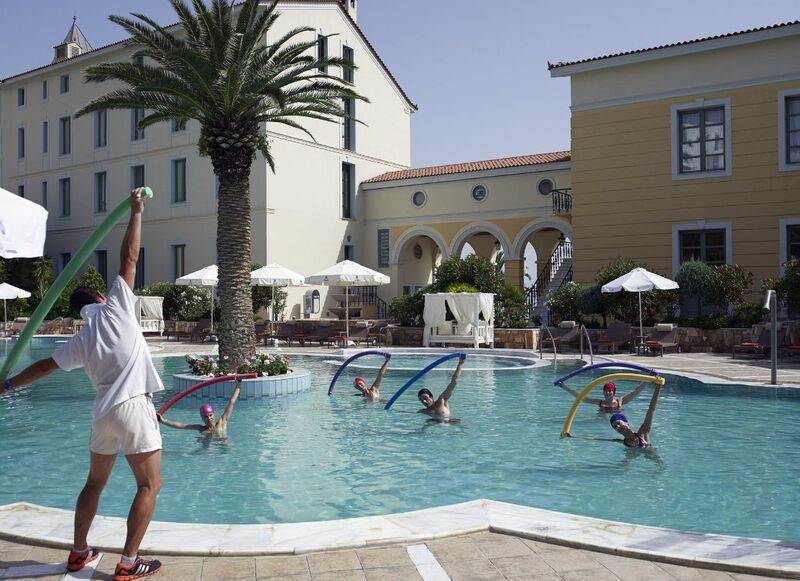 A 20-minute visit is equivalent to 20 minutes in the thermal pool. Begin your treatment with deep relaxation and cleansing in eucalyptus steam, followed by a unique exfoliating massage with invigorating ingredients that leaves the skin smooth and replenished. Continue with a thermal water skin and hair mud mask all over the body. 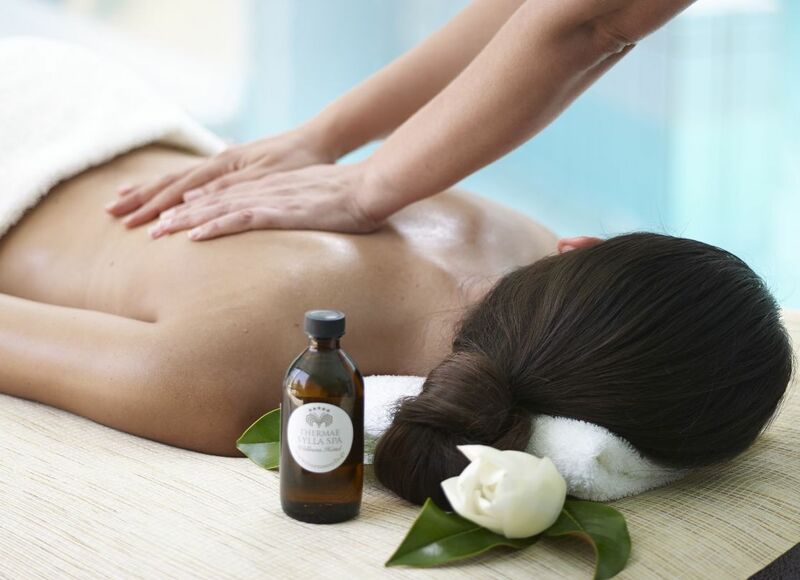 Combine the benefits of essential oils extracted from plants, leaves, barks, roots and flowers, with treatments such as massage and body wraps. This therapy stimulates the nasal/olfactory senses, mental responses and circulatory functions. This process of removing a thin layer of dry skin cells with a special mixture of sea salt and essential oils will leave your skin smooth and relaxed. 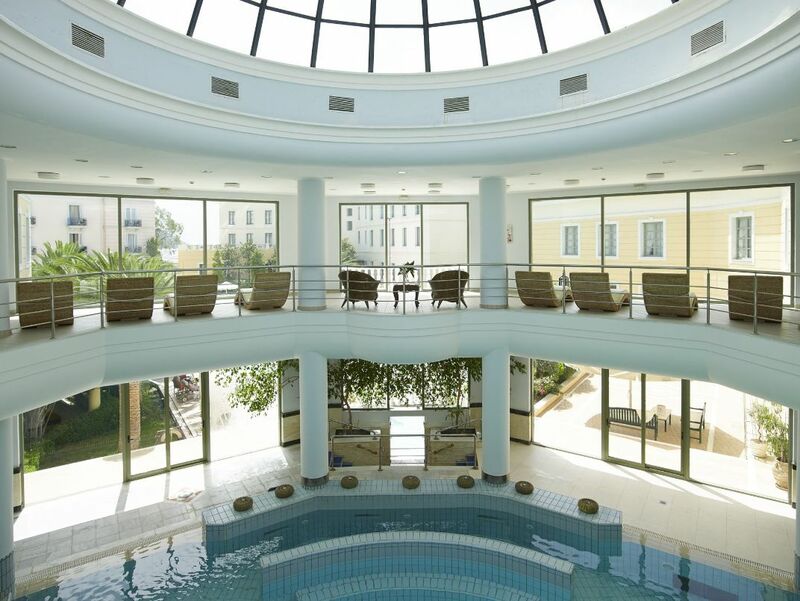 It will help you reap the benefits of other treatments offered at the Thermae Sylla Spa. Revitalize your skin with a wonderful combination of scrub and massage, which includes peeling with salt mixed with essential oils and moisturizing body cream. It cleans pores, causes congestion and contributes to recover lost firmness. 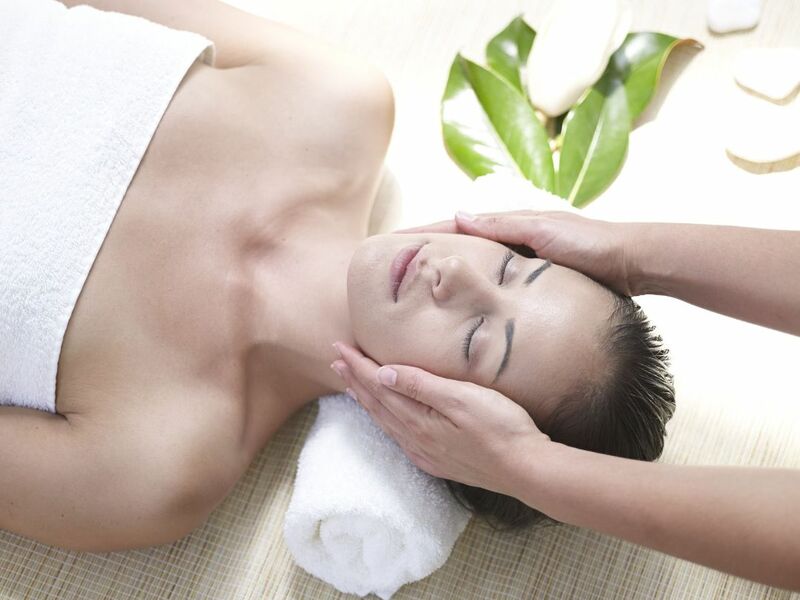 Ending with a thermal hot hydro massage, it leaves your skin soft and silky. Here's a sweet body scrub that uses sugar crystals, herbal extracts and natural essential oils that will remove dead skin cells and revitalize the skin thanks to its active ingredients. Based on ginger extracts, silk proteins and salt, this powerful body scrub is especially indicated for smoothing and firming the skin. Ginger is a known antioxidant that has positive rejuvenating effects on the skin. This deep body scrub with chocolate granules removes dead cells and enriches the skin with beneficial vitamins. Chocolate has also powerful antioxidants that strengthen the anti-ageing skin's resistance against aging as well as the free radicals. Body care with selected grapes from our vineyards, which are applied to the body in the form of mask, removing the top layer of dead skin cells, offering unique exfoliating and revitalizing the skin thanks to its high content in polyphenols nutrients.